Soup up your ride with the light and fast feel of the Brooks Ravenna 5! These come with free shipping, free returns, 365-day money back guarantee and an awesome customer support that is available 24/7. Ships only to USA. 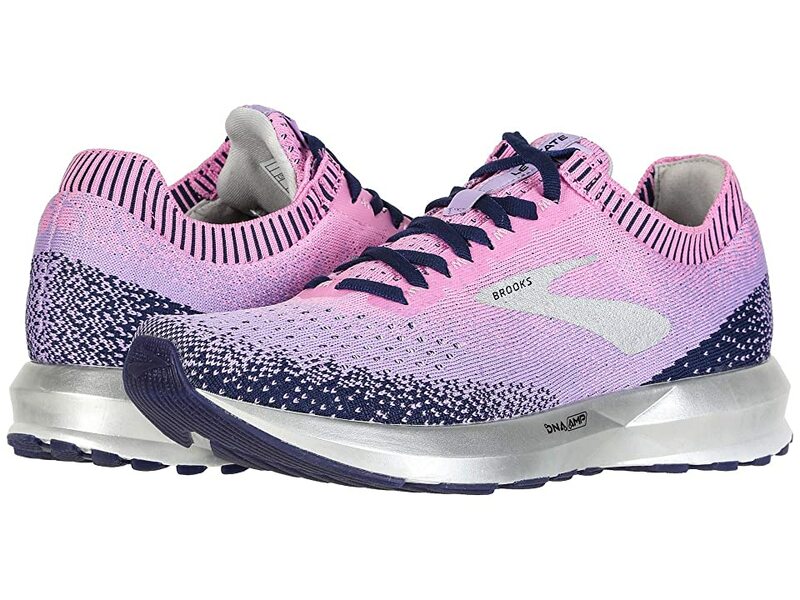 Zappos.com is proud to offer the Brooks Ravenna 5 (Tillandia Purple/Fuchsia/Patina Green) – Footwear. Soup up your ride with the light and fast feel of the Brooks Ravenna 5! Successor to the Ravenna 4, SKU# 8057106. 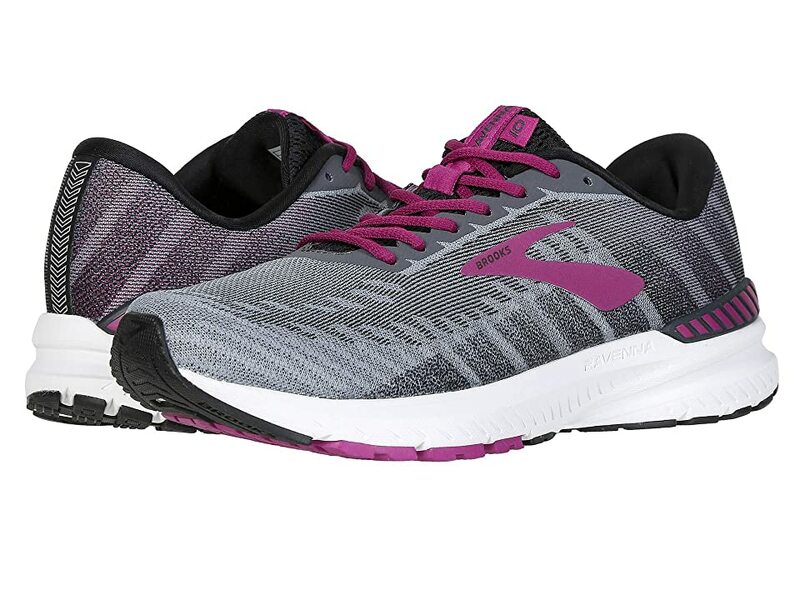 Built for the mild overpronator who requires enhanced cushioning with just a touch of stability. Moisture-managing Element mesh upper offers protection from various elements while maintaining a breathable in-shoe environment. Adjustable saddle promotes a better fit. Removable, molded foam insole for light underfoot cushioning. Full-length S-257 Cushsole midsole compound utilizes an insole board for increased cushioning and flexibility. Diagonal Rollbar (DRB) is a high-density post placed at the medial arch, designed to help with pronation control and create smoother transitions through the various phases of the gait cycle. DRB Accel shank-like unit promotes torsional rigidity in the mid-foot, while allowing the heel and forefoot to act independently. Universal #189 Sprung Platform enhances fit and function. Forefoot Stable Pod Construction – Midsole and outsole components work together to center the foot for a more effective, balanced stride from heel strike through toe-off.